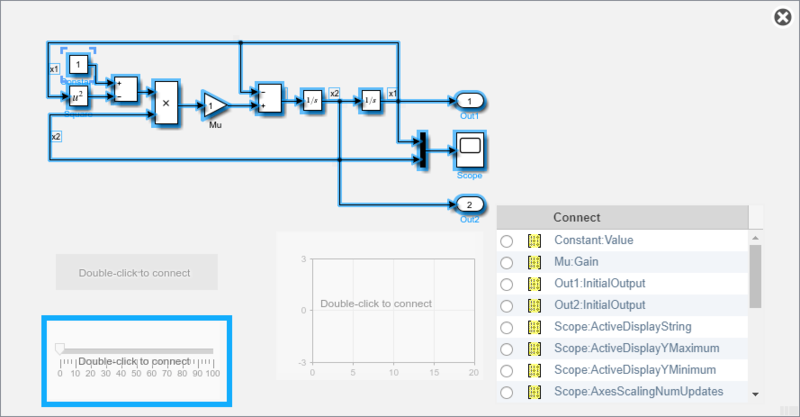 The Check Box block allows you to set the value of a parameter or variable during simulation by checking or clearing the box. 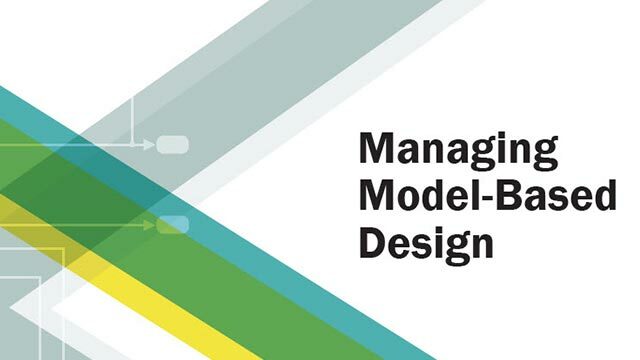 Use the Check Box block with other Dashboard blocks to create an interactive dashboard for your model. Double-clicking the Check Box block does not open its dialog box during simulation and when the block is selected. To edit the block's parameters, you can use the Property Inspector, or you can right-click the block and select Block Parameters from the context menu. Label that appears next to the check box. You can use the Check Box Label to describe what happens in your model when you check the check box. Value to assign to the connected variable or parameter for the checked and unchecked block states. Unchecked — Value assigned to the connected parameter when the Check Box block is not checked. Checked — Value assigned to the connected parameter when the Check Box block is checked. You set the Unchecked and Checked values programmatically using a 2-by-1 vector that contains the Unchecked and Checked values, in that order. 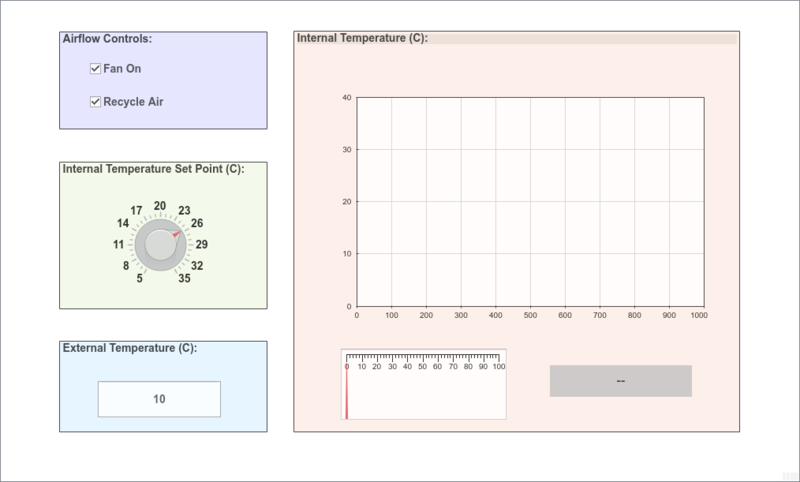 Use a dashboard of controls and indicators to interact with the simulation of an automobile climate control system.